Tyson is a crack shot when it involves hunting in video games, and he'd love to try it in real life. For as long as he can remember, Gramps has promised to take him on his first elk hunt, and the time has finally come. Or has it? Several events are threatening to derail the promised hunting trip. #1 - Attacks by a grizzly bear are popping up all over the news. One victim lost an arm, and worse yet, an Ohio couple was killed. Tyson's parents aren't thrilled about the idea of sending their son into the claws or jaws of a grizzly. #2 - Something is up with Gramps. Tyson's parents are keeping a secret about why Gramps has to leave their home and move hours away to live in a nursing home. They are insisting that Gramps is in no condition to go on horseback into the wilderness to hunt anything. 13-year-old Iris feels abandoned. Her mum recently left the family. Her dad isn't doing the best job holding down the fort. Her older brother is running with a bad crowd. Now a group of Irish Travellers has set up camp in front of their farm. Even though her dad doesn't want her to get mixed up with the campers, Iris can't help being curious about them. She strikes up a friendship with a 14-year-old nicknamed Trick, an Irish boy who has seen so much more than she has, whose life is even less predictable than hers. Soon, Iris' family falls apart in ways she had never imagined. 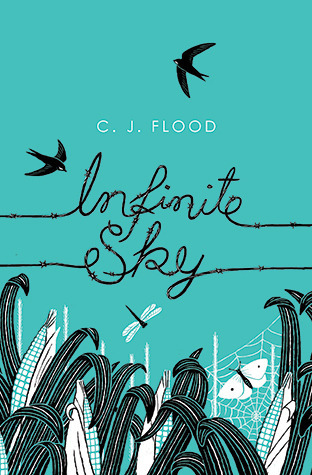 Set in the UK, Infinite Sky by C.J. Flood is seen through the eyes of Iris - no pun intended, the point being that Iris is a good narrator for this story. She's at that critical age with a critical family situation. She's curious and naive, innocent and observant, torn between staying loyal to her family and seeking out something new. The boys who surround Iris - her father, her brother, and her new friend Trick - are even more troubled than she is. Iris is aware that her brother's new friends are reckless but doesn't know how to stop him from hanging out with them. All she knows is she wants to protect him, but she can't. She becomes distant from Matty, the girl who was once her best friend, and defies her father's orders by hanging out with Trick regularly. My favorite brother-sister moment comes when Sam, an artist, finally responds to his sister's request to draw something special on her wall. This scene serves multiple purposes: illustrating the siblings' relationship, giving Sam a way to channel his pent-up energy and anger, and giving Iris something special. I also liked the moment when Iris listens to Sam tell the story of how he met his new friends and thinks to herself, "I just wanted to understand," and later, when she purposely keeps herself busy cleaning plates while her father and brother argue so she can hear what's going on and be right there to diffuse things, if need be. The book's prologue tells of something that happens very, very late in the book. Though it is purposely vague, it does set the reader's mind on that path, so that when the tragedy finally occurred, I wasn't as surprised or shocked as I would have been had that first page not set things up. I can appreciate the prologue and its later repeat/reveal from a storytelling standpoint, as it's a structure that's used in many books (and movies, and TV episodes) - I'd love to hear if other readers liked it or not. Did it soften the blow, or make it easy to predict? Would you have had a different reading experience had the prologue not been included? The living room curtains were closed, but there was a gap in the middle where they didn't quiet meet. Mum had talked about replacing them ever since she shrank them in the wash last year. I promised that as soon as I had some money, I would do it myself. My favorite sentence in the book is the closing sentence. Beautiful and true. I'll keep my eyes peeled for Flood's next book, Everywhere River. Visual note: I really liked the font the text was set in, which the publishing data page cites as "Incognito." Kudos to whoever selected the font. I also really like both the UK and the US covers of the book, which I think are pretty and appropriate for the story and the setting. I would wager that the UK cover, which I posted above, may be easier to sell to middle school boys than the US cover, which features Iris alone. Editor Guy Haley opens this hefty volume with the sentences, "Science fiction is arguably the most exciting genre of entertainment. No other form of storytelling shapes our culture as much, or is as popular." He's certainly got a point, particularly when it comes to male readers (and watchers). The recent debate around #WeNeedDiverseBooks highlighted the great shortage of - and hunger for - novels that speak to and from the experiences of writers of color, women writers, LGBTQI writers, differently-abled folks, and other voices outside the mainstream narrative. And while it's true that mainstream publishing still has a diversity problem (which some folks frame as a white supremacy problem), it's also true that there are a ton of amazing diverse books and stories being written and published and celebrated. 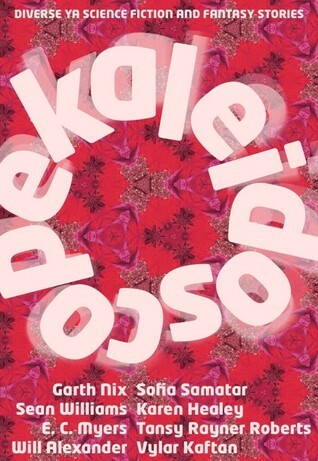 Case in point: Kaleidoscope: Diverse YA Science Fiction and Fantasy Stories. This anthology highlights twenty stories that are creepy, funny, edgy, entertaining, and thought-provoking. There's all kinds of dazzling diversity on display here: the authors are diverse, the speculative concepts are diverse (stories about drugs that let you see the future, and ancient deities giving life lessons, and superpowers, and urban legends gone wrong) and the settings for the stories are diverse (Palestine, China, New Jersey). Many women wanted to do what they could to help out the war effort during World War II. Despite the fact that women were not allowed to fly planes in combat, they were allowed to fly them over friendly territory through the Air Transport Auxiliary. Maddie and Julie come from different backgrounds, but manage to become fast friends. Each woman gets to tell her part of the tale and neither one knows what is happening to the other, despite the fact that they are in the same French town. One in hiding with the French Resistance, and the other as a captured spy subjected to interrogation from the Nazis. Wein has written an intelligent and captivating novel. The two main characters draw you into their world, demanding that you keep reading to see where the story goes, if both women make it out alive, to determine what is the truth and to connect all of the pieces from one woman's story to the other. Fans of historical fiction, spies and World War II will love this book. Labels: History Matters , Survival , War - What Is It Good For? Mark Watney is stuck on Mars. A powerful sandstorm during NASA's third manned mission to Mars forced the the Ares 3 crew to leave the planet ahead of schedule. Mark is injured during the storm–fatally, his cremates believe–and left behind while the others barely escape the storm in time. But thanks to a "ridiculous sequence of events that led to me almost dying, and an even more ridiculous sequence that led to me surviving," Mark is alive. Now he must find a way to get in touch with NASA in hopes of a rescue while also figuring out how to survive with limited supplies on an inhospitable planet. The Martian is, in a word, awesome. 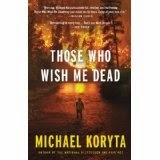 It's a smart, suspenseful, surprisingly funny survival story, and easily one of my favorite books of the year. 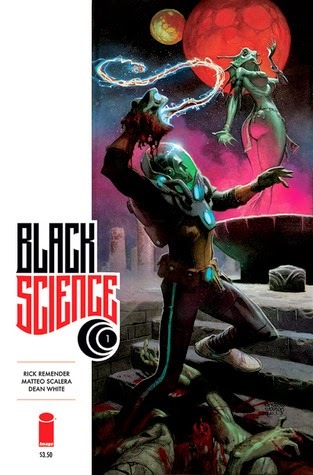 It's science fiction–emphasis on the science–that'll appeal both to fans of the genre and folks like me who usually don't read much science fiction at all. Spineless: Portraits of Marine Invertebrates, the Backbone of Life by Susan Middleton. "This collection of more than 250 remarkable images is the result of seven years of painstaking fieldwork across the Pacific Ocean, using photographic techniques that Middleton developed to capture these extremely fragile creatures on camera. She also provides short essays that examine the place these invertebrates occupy on the tree of life, their vast array of forms, and their lives in the ocean. Scientist Bernadette Holthuis contributes profiles describing each species, many of them for the first time. Middleton’s book is a stunning new view of nature that harmoniously combines art and science." The Cure for Dreaming by Cat Winters. 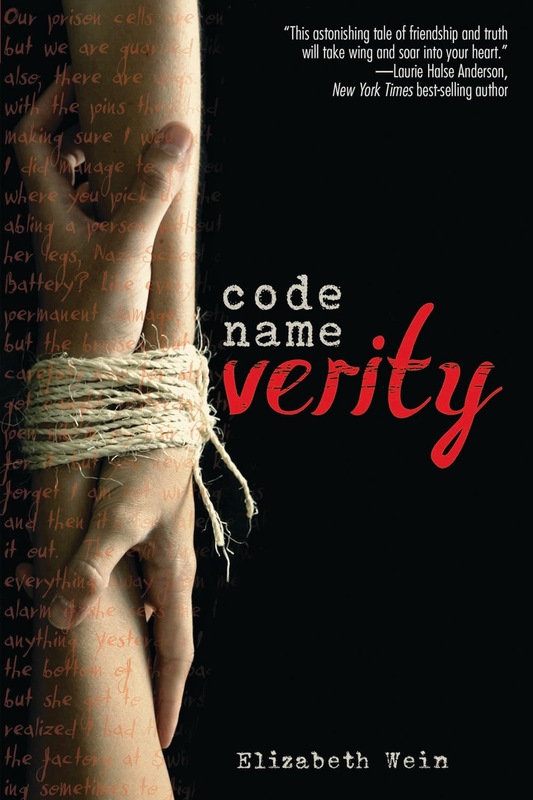 "Olivia Mead is a headstrong, independent girl—a suffragist—in an age that prefers its girls to be docile. It’s 1900 in Oregon, and Olivia’s father, concerned that she’s headed for trouble, convinces a stage mesmerist to try to hypnotize the rebellion out of her. But the hypnotist, an intriguing young man named Henri Reverie, gives her a terrible gift instead: she’s able to see people’s true natures, manifesting as visions of darkness and goodness, while also unable to speak her true thoughts out loud. These supernatural challenges only make Olivia more determined to speak her mind, and so she’s drawn into a dangerous relationship with the hypnotist and his mysterious motives, all while secretly fighting for the rights of women. Winters breathes new life into history once again with an atmospheric, vividly real story, including archival photos and art from the period throughout." The good news: Scientists have discovered a way to travel inter-dimensionally, forever changing science and the world that we know. The bad news: Most of the things that live in those other dimensions want us all dead. That is the conundrum facing Grant McKay and his team of researchers, who get stranded "Lost in Space" style within multiple dimensions, most of them extremely dangerous. McKay is a broken man, struggling with the fact that he's put his family in danger, he's cheating on his wife, and yes, he probably smokes too much weed. He has to put all of that behind him, however, if he's going to get them all home alive. This is a cool little book that I stumbled upon (I think it was in the new book cart at work) and I was glad that I did read it. Aliens walk among us is the overarching theme of this book which details the adventures one summer of a twelve year old Aidan who lives in a motel that his parents own. The motel is open to the public but also has its share of long term residents. Cocoa Beach is in close proximity to and the hotel occupancy rate increases whenever there is a rocket launch as curious folk want to see the goings on. Neeedless to say Aidan has seen a lot of weird things and if you ask him some of the motel guests are as weird as any extra terrestrial! Have you ever looked at a bottle of sriracha hot sauce and thought "You know what would make that better? A spray bottle head!" How about dumping the crumbs from a party bag of Doritos into an empty pepper mill? Ever wanted to make a peanut butter, jelly, and banana sandwich but the only bread you had was a hot dog bun... and you went for it? Maybe you haven't, but when the hungries happen and you're scrounging for something, necessity becomes the mother of invention. Of course these days re-purposing and finding new uses for things generally gets the term "hacked" in front of it, so why not food? Amazing Food Hacks is, perhaps, the ultimate afternoon snack-hacker's bible, complete with ideas that range from the mild (hash browns in a waffle iron) to the wacky (leftover pizza crust nachos) to the sophisticated (frozen yogurt dots). Peggy Wang, a founding editor of the website Buzzfeed and a non-foodie mom with kids to keep happy, packs a lot of interesting and (mostly) healthy ideas for breakfasts, main courses, snacks and sides that would make any kid rethink that plain old package of ramen taunting them from the pantry. Five years ago, a remarkable book came into this world. 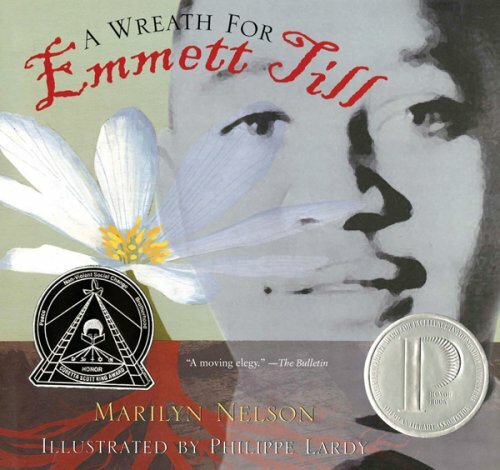 A Wreath for Emmett Till, by Marilyn Nelson, illustrated by Philippe Lardy, is *a heroic crown of sonnets* relating the story and details of the murder of a fourteen-year old boy in Mississippi in 1955. He was lynched by a group of white men for (allegedly) whistling at a white woman, although it turns out that may not even have happened. Determined to make the world aware of not only her son's murder, but the racial inequities in the South at that time, his mother insisted on an open casket for her poor boy. Dead too soon, and yet he helped to spark the civil rights movement in the United States because so many folks, no matter what their color, were outraged by his death. *A heroic crown of sonnets* is a series of 15 poems using the sonnet form. The last line of the first sonnet becomes the first line of the second, and so on, until the end of the 14th sonnet. The 15th sonnet is composed of the first line of each of the 14 that came before it. It makes perfect sense, and, to highlight Nelson's further brilliance, includes an epitaph in an acrostic down the left-hand side of the final page. by what I heard, with hundreds of green ears. and comes again, to the music of the spheres. Two hundred years of deaths I understood. shivering the deep silence of the stars. A running boy, five men in close pursuit. One dark, five pale faces in the moonlight. Noise, silence, back-slaps. One match, five cigars. Emmett Till's name still catches in the throat. Each of the poems is equally powerful. This is a book that packs a wallop. Read this one for the subject-matter, which is important. Read it to remember, and to experience the power poetry has to move you and transform you and to make you consider the many angles--the sonnets are told from varying perspectives, including the tree on which young Emmett was hanged, his poor mother, and the hypothetical life he could have led. And if you are a poet, read it for the craft. The form itself is beautiful enough to make you weep. Anton Chigurh, since his appearance in Cormac McCarthy’s No Country for Old Men in 2005, has been the lodestone for literary villainy (and, yes, it helps to have an excellent cinematic adaptation to sear your character into our consciousness). Just as it is with the best heroes, the best (worst?) villains must have a code. They may well be sociopaths, but they are not simply cyborgs programmed to kill. Somewhere in their minds exists a rationale for why and how they do their evil. As summer reading lists are now a thing and schools send required reading at us year round (curses! ), it seems like the proper rebuttal is to read summer books during the school year. Or, if like me you met September with a mix of dread and excitement (dreadful excitement? excited dread? ), then a slip back into a book set firmly during summer vacation might be just what you need to keep your sanity as schedules and homework bear down on your head. Start with Three Bird Summer by Sara St. Antoine, set at a lakeside cabin in Minnesota. It's the first summer for 12 year old Adam without his extended family along. His parents have split up and in the resulting fallout there is just he and his mother going up to his grandmother's cabin on Three Bird Lake. In the quiet weeks that follow Adam makes friends with the girl in the cabin next door, swims, canoes, and realizes that his indomitable grandmother is showing signs of weakness. Uncovering a mystery from her past occupies him (and his new friend Alice) for much of the summer and leads to a revelation in the final pages. Three Bird Summer is a happily-ever-after kind of read of the sort that I think is often sorely underrated. St. Antoine makes the writing seem easy but she hits all the right notes with expertise and while I certainly got a nostalgic feel while reading, it was in a classic way. Middle grade and young teens will find quiet joy in Adam's story and likely all will pine for their own lakeside adventure (with canoeing of course). The central character was a member of a band that changed names more often than most people change their underwear. Something or other about Catcher in the Rye figured into the action. But that was all. I couldn’t remember the names of any characters, I couldn’t remember specifics of the plot. Which meant that, when I was paging through NetGalley in July looking for stuff to read, I was massively excited to see that there was a sequel coming…and that I would have to reread the original. I’m not a rereader of books, usually. I can count on two hands the books I’ve reread for pleasure as an adult—the first six Harry Potters, The Hitchhiker’s Guide to the Galaxy, The Moviegoer. And now King Dork. And a pleasure it most certainly was, as things came back to me rapidly and I remembered just how much I had loved the book in 2007. When I taught undergraduate creative writing classes, I occasionally assigned a collaborative story. It was a terrible assignment. Students would often complain that their partners' ideas were "stupid," or that their partners were not putting in adequate effort. When I did get teams to produce something the result was compromise work and nothing nearly as interesting as what they were doing on their own. Editors Marc Aronson and Charles R. Smith, Jr. clearly know something that I didn't--or maybe it just helps to work with proven writers--because what they've produced with their collection One Death, Nine Stories is not only of high quality, it's greater than the sum of its parts.